Famously recognized for his representation of Dr. Daniel Jackson in the sci-fi television series, “Stargate SG-1”, Michael Garrett Shanks was born on December 15, 1970, in Vancouver but was brought up in Kamloops, British Columbia. As a child, he was pro-active in school and extracurricular activities; he was a part of the Student Council, the theatre group and rugby and hockey teams. However, he was more interested in pursuing hockey on a professional level. After deciding against it, he enrolled himself in the University of British Columbia to get a Business degree. After struggling with Calculus, he switched his major to Theatre and subsequently graduated as a student of Fine Arts. After graduation, Shanks spent two years, apprenticing at the prestigious Stratford Festival in Ontario, where he was a part of several productions. According to him, back then his dream wish was to be given the opportunity to play Henry V. He made appearances in minor and guest roles in several television shows such as “University Hospital”, “The Commish”, “Madison” and “Highlander” as well as such movies like “A Family Divided” and “The Call of the Wild” before he finally got his big break. 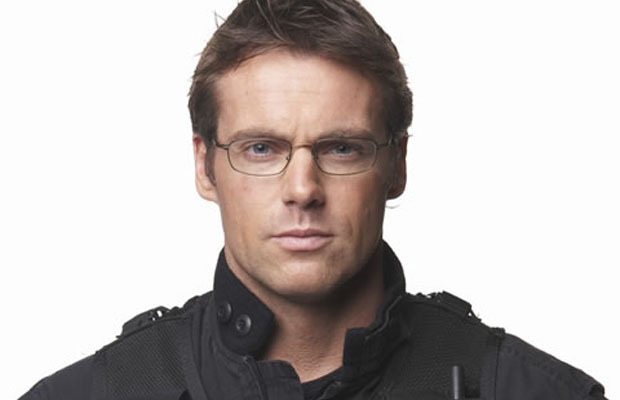 In 1997, Michael Shanks gave an audition for “Stargate SG- 1” which was the television offshoot of the “Stargate” movie. In his audition, Shanks impersonated James Spader, who played the role of Dr. Daniel in the movie, and was successful in getting the role. He was part of the cast for five complete seasons before he left the show. According to him, the reason he left was attributed to the fact that his character was not sufficiently made use of. After much insistence from his fans to bring back Shanks on the show, he returned back in season six, to do three episodes as Dr. Daniel Jackson as well as continuing to do the voiceover for Thor. Apart from acting in “Stargate SG-1”, Shanks has also directed parts of the show. He made his directorial debut with season four with mostly positive reviews. In season 7, he wrote the episode, “Resurrection”, further exploring his creative side. Apart from his ten years with “Stargate SG-1”, Shanks has also been the part of many movies like, “Suddenly Naked”, “Suspicious River”, “All Around The Town” and “Door to Door”. Alongside this, his presence has also been extended to other television shows like, “Outer Limit” and “Andromeda”. In 2003, he appeared in the sci-fi movie, “Sumuru” as the astronaut Adam Wade. Michael Shanks has also appeared in two television movies for Lifetime Network including, “Under The Mistletoe” in 2006 and “Judicial Indiscretion” in 2007. Following that, he embarked on working for the first two “Stargate SG-1” movies titled, “The Ark of Truth” and “Stargate: Continuum”, respectively. Some of his more recent works include the show, “Endgame” where he made a guest appearance in the third episode in 2011 and the series, “Saving Hope”, where he plays the role of Dr. Charles Harris, in 2012. He has earned several awards for his work on television some of which include; the Leo Award for “Best Lead Performance in a Dramatic Series” in 2004 and the Leo Award for “Lead Performance in Feature Length Drama” in 2009. In his personal life, he is married to Lexa Doig and the couple has two children together. He also has a daughter from his former partner, Vaitiare Bandera. He enjoys playing ice hockey and frequently plays against other production teams.